Rufus Leonard, a leading UK independent branding agency, went in search of a new DR solution for increased IT resiliency. The iland Secure DRaaS with Zerto solution has delivered 40% cost savings, reduced RPO from 24 hours to 15 seconds and ensures business continuity for Rufus Leonard and their clients. With the pressure of an overseas office move, Cold Jet’s IT team was in search of a disaster recovery provider that could help manage and secure their mission-critical business data. Leveraging cloud services that include IaaS along with cloud-to-cloud DR and DRaaS for on-premises servers, Navigator Gas is at the forefront of cloud innovation in the oil and gas industry. Doing essential and important caring work in the community demands a reliable DRaaS provider – RHD has found that with iland. A lot goes into the outstanding performances delivered by New York City Ballet and their IT department plays an important role by protecting critical data and systems with iland’s Secure Disaster-Recovery-as-a-Service solutions. In an age where IT is constantly evolving, so are the cybersecurity threats. Every day, internet security companies are faced with new challenges to mitigate ransomware and other cybercrime. My Digital Shield protects businesses with a robust security offering. Leading US private law school partners with iland and GreenPages to protect from ransomware and ensure business continuity. Plans to implement a reliable and secure DRaaS solution were expedited when the school suffered a malware attack. Read how the iland Secure Cloud DRaaS with Zerto solution enabled Vermont Law School to implement a robust DR strategy. With a commitment to being "Fiercely Loyal," Chambliss has an obligation to provide the best services to their clients—and their IT operations need to reflect this client focus. 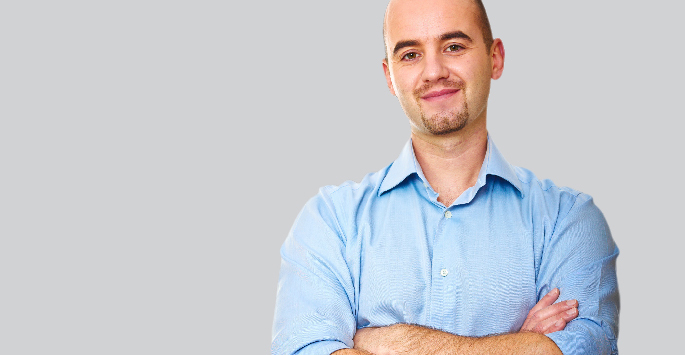 A secure and reliable backup and DR strategy is essential to support their lean IT team and tenacious attorneys. When first responders rush to help during hurricane season in Florida, someone has to watch their children. R’Club, a long-time child care and social service program, steps in to deliver exceptional care while their parents serve their communities. 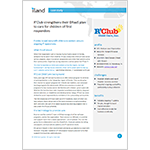 Downtime during disasters is not an option for R’Club IT. Synergy Logistics sought a relationship with a cloud provider who could help them exceed their customers’ requirements in a rapidly evolving industry. Recognizing early on that cloud technologies would be essential to the success of their customers, The Lloyd Group sought a relationship with a cloud provider that would enable them to focus on their core IT competencies. Wavex partners with iland to help their clients achieve excellence with cloud hosting and disaster recovery solutions. 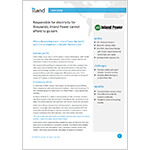 Responsible for electricity of thousands in Eastern Washington, Inland Power took the initiative to establish a reliable and cost-effective DRaaS and Cloud Backup solution with iland, ensuring their continuous operations. iland’s cost‐effective and secure cloud provides the Wilson Center with unmatched protection and flexibility. Quikteks meets their customers needs for resilient disaster recovery and backup plans with the iland and Veeam cloud backup and disaster recovery solutions. This leading international equipment company based in Aberdeen, Scotland stays ahead of the curve in a highly technical industry by leveraging iland for cloud-based Secure DRaaS with Veeam. 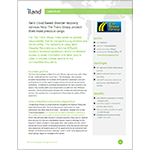 Muhlenkamp & Company turned to iland to protect their business systems with secure, compliant and cost-effective cloud-based disaster recovery. Read how Graubard Miller utilizes iland cloud-based Secure Disaster-Recovery-as-a-Service (DRaaS) to protect their market-leading legal services for global clients. Bluestone is at the forefront of delivering innovative financial services to customers in a rapidly changing market. 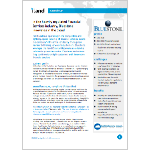 Bluestone leverages the iland Secure Disaster-Recovery-as-a-Service solution to protect essential IT systems and meet security and compliance requirements in the highly regulated financial services market. iland services help The Trans Group protect their most precious cargo. For The Trans Group, there exists no greater responsibility than to transport young children and adults safely. The company is using iland Secure Disaster-Recovery-as-a-Service (DRaaS) solutions to ensure protection of and on-demand access to route information and other data in order to provide optimal service to the communities they serve. 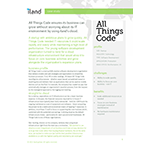 All Things Code ensures its business can grow without worrying about its IT environment by using iland’s cloud. Facing continued growth, Khatib & Alami's IT department set out to establish a robust infrastructure that ensured efficiency and protected the workloads associated with its clients’ multi-billion dollar projects. 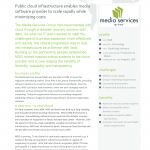 Its technology journey has taken it from disparate IT islands, to private cloud and, finally, to public cloud. An insurance pioneer with unique, tailored programs for clients in disaster-prone areas, St James Insurance Group also leads the way in cloud-based IT infrastructure. Initially deploying disaster recovery in the cloud to protect its own business, this innovative company is further minimizing costs and creating business agility by expanding its use of cloud to resource-heavy, production applications. If you've ever watched an episode of "How It’s Made", you've probably seen Piab's solutions in action. Piab is known for its innovative industrial automation solutions that transform factories by improving energy efficiency and productivity. Its IT team mirrors the company’s innovative culture of driving business and getting ahead of issues by strategically adopting technologies and optimizing processes. 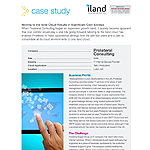 Learn how Piab’s IT team has moved production and disaster recovery to iland’s cloud, enabling it to focus on strategic business initiatives. ABU’s website had been hosted for years by a local web hosting provider. Out of the blue, the provider notified ABU that it was ceasing all web hosting and that the non-profit would need to find a new provider within the space of just four weeks! iland was able to jump in, help with the switch and guide it through a complicated process. Although STRATA wasn’t a direct victim of Superstorm Sandy, the disaster opened the company’s eyes as to what could happen to a business without a comprehensive and effective DR plan in place. Learn how STRATA®’s gradual foray into disaster recovery and business continuity solutions enables it to meet customer expectations and protect mission-critical systems and applications. When Prolateral Consulting began an expansive growth trend, it quickly became apparent that cost control would play a vital role going forward. 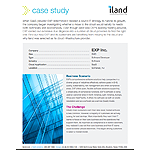 Moving to the iland cloud has enabled Prolateral to make exponential savings over the last few years and a plan to consolidate all its cloud environments to one iland cloud. When Glasstire’s website was severely hacked into, this Texas Arts nonprofit organization turned to iland in search of a safer and more secure way in which to promote art related activities to its members. 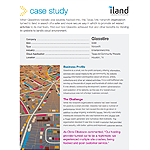 Find out how Glasstire achieved that and other benefits by moving its website to iland’s cloud environment. 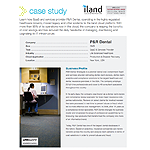 Learn how SaaS and services provider P&R Dental, operating in the highly regulated healthcare industry, moved legacy and other systems to the iland cloud platform. With more than 90% of its operations now in the cloud, the company is reaping the benefits of cost savings and has reduced the daily headache of managing, maintaining and upgrading its IT infrastructure. 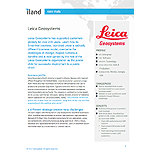 Leica Geosystems has supported customers globally for over 200 years. Learn how its SmartNet business, launched under a radically different business model, overcame the challenges of change, reaped numerous benefits and is now upheld by the rest of Leica Geosystems as the poster child for successful deployment to a public cloud.